Danta was born in the northern town of Gonaïves, Haiti. she was awarded both her Bachelor of Science Degree in Nursing and valedictorian honors in 2014 from FSIL, one of the few BSN-level nursing schools in the country. She later received her nursing license and served a three-year term as director of a cervical cancer clinic implemented by the Women’s Global Cancer Alliance. Danta was awarded the Fulbright Scholarship and the International Peace Scholarship (IPS) through the Philanthropic Educational Organization (PEO). 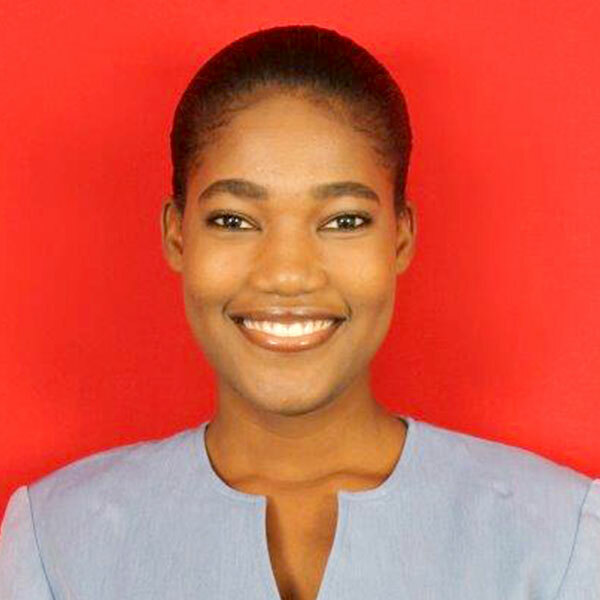 She is currently pursuing a Master of Medical Sciences Degree in Global Health Delivery at Harvard Medical School, researching the social barriers and drivers that hinder cervical cancer screening in Haiti. Her ultimate objective of this research is to help improve healthcare quality while considering the social determinants of healthcare delivery.